Toronto HPB and Transplant faculty are pleased to announce the appointment of Dr. Trevor Reichman as Director of the Toronto HPB Surgical Oncology and Abdominal Organ Transplant Fellowship Programs. 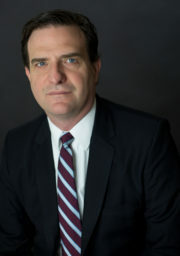 Dr. Reichman completed his Toronto Fellowship in Abdominal Organ Transplantation and HPB Surgery in 2011 and was subsequently recruited to Ochsner Medical Center in New Orleans, Louisiana were he assumed the role of Co-Director of Living Donor Liver Transplantation and Pediatric Liver Transplantation. He also started and was the Director of the Abdominal Transplant Fellowship at Ochsner. After 5 years, he relocated to Virginia Commonwealth University in Richmond, Virginia where he was the Surgical Director of Liver Transplantation and the Director of Pediatric Liver Transplantation. In addition to his leadership role in Fellowships, Dr. Reichman will also assume the role of Surgical Director for the Pancreas Transplant program at UHN. We are very fortunate to welcome Dr. Reichman and his family back to Toronto.